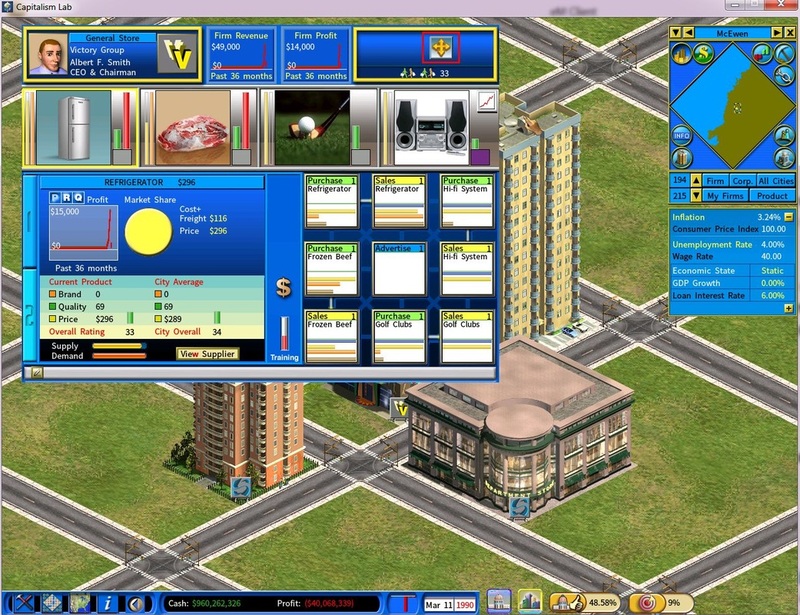 When a member of your political party has been elected as a mayor, you will be able to relocate firms of any private companies (including those you do not have any share ownership), as part of your city planning effort. The following screenshots show how this can be done. The city government will compensate the affected company. You can view the compensation amount when selecting a target location to relocate a firm, as shown below. 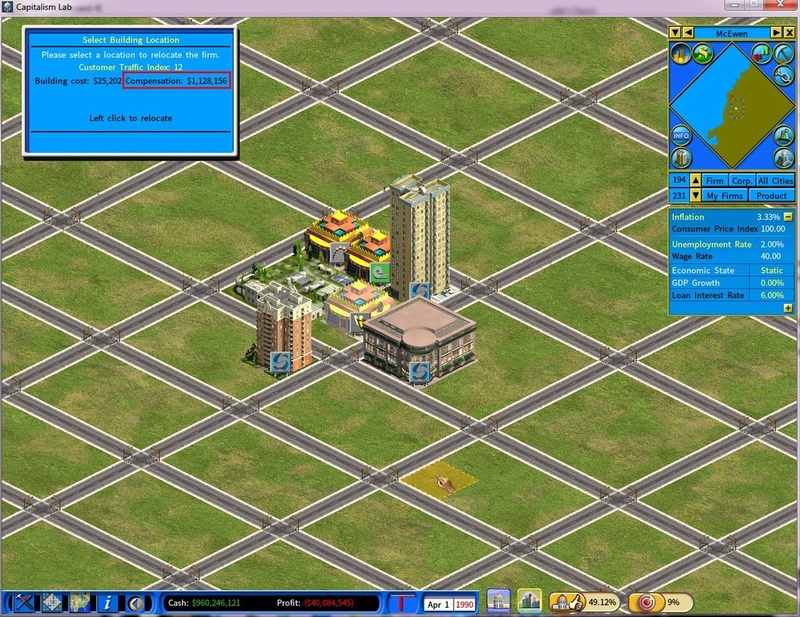 While this feature is intended to be used for city planning purpose, the player may use it for benefiting the player own company by relocating competitors’ firms to a less advantageous location using the city’s fund for compensation. 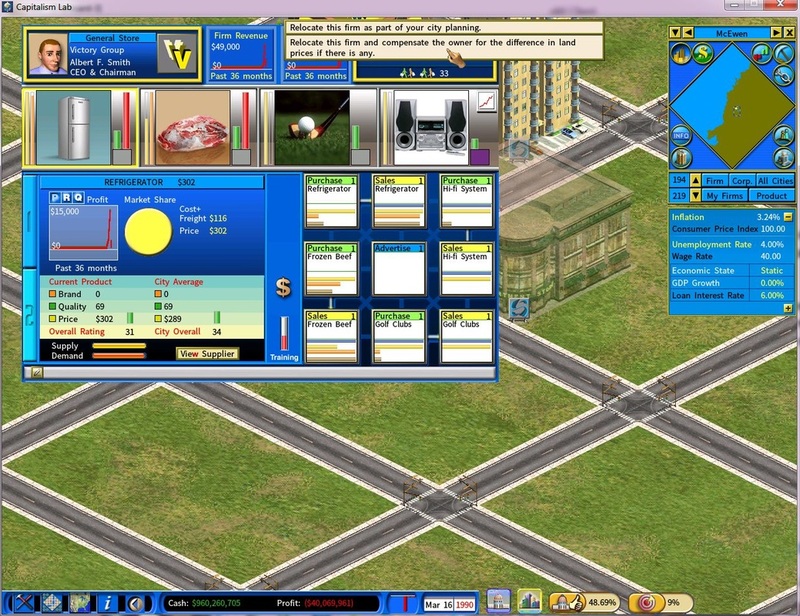 The freed up location, which may enjoy high customer traffic, can in turn be acquired by the player’s company, for its own benefit.